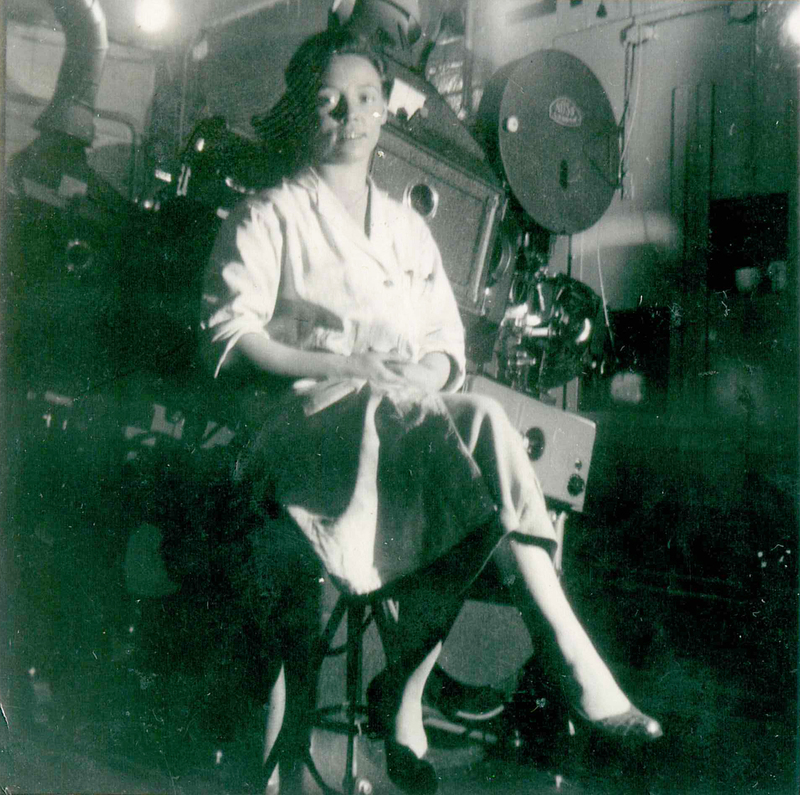 This exhibit gathers together some of the material collected by The Projection Project that relates to the work of women projectionists across the history of cinema. When you think of the stereotypical cinema projectionist you probably imagine that the person working the machine is a man: someone like Buster Keaton wrapped in celluloid in Sherlock Jr, Alfredo in Cinema Paradiso or Tyler Durden in Fight Club. And it is true that for much of the 20th century the majority of projectionists were male. However, if you are familiar with Shosanna, seen operating the projector in Quentin Tarantino’s Inglorious Basterds, or Rose, the projectionist in Annie Baker's play The Flick, you are accessing a mostly-hidden, alternative history of cinema projection: one populated by women. Rose and Shosanna are not fantastical details dreamed up by Tarantino and Baker, but speak to a real and fascinating history that can be found within projection boxes around the world.